​It's that time of the week again for lovers of FIFA - those who participate in the increasing popular FUT Champions game mode that is. A weekend of hard graft, intense competitive gameplay, excessive swearing and the launching of your controller at the wall several times eventually pays dividends - in the form of weekly reward packs, depending on how successful you have been. Stop the GIF #FUTChampions rewards for the new #TOTW! 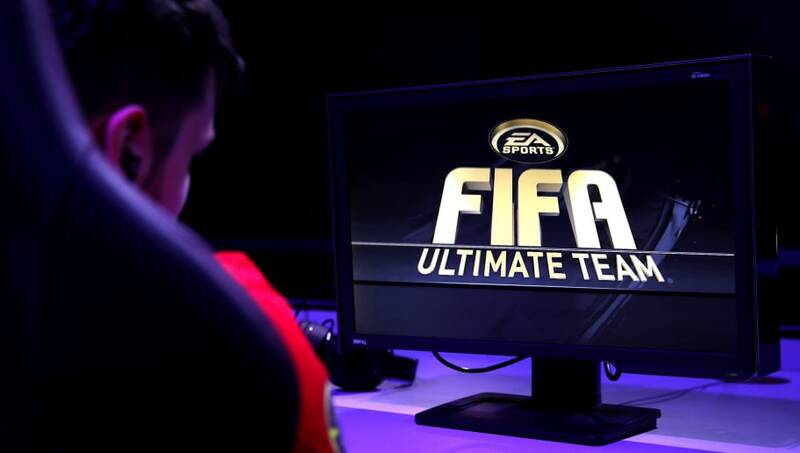 So you've slugged it out and played (potentially) 30 games of FIFA over the weekend, coming up against a variety of players, teams and skill levels - all online of course. But it's now time to find out what your hard work has earned you - with the number of wins you have accrued vital to the number of players who get to pick from. Check out the graphic below to explain what each rewards level can provide you with.. Final Rank (Number of Wins Required) Number Of Player Picks Number of FUT Cards to Pick From Max Overall Card Rating Untradeable? If you're a Bronze level player, you sadly haven't made it.....and you won't be receiving players any time soon. When Do You Receive FUT Champions Rewards? Every Thursday at 08:00 UTC, EA drops packs into your account based on the amount of wins you have earned over the weekend - from there it's a lottery. You could pack an 82 rated unknown, or a beastly 91 ​Harry Kane (or whoever the big name of that particular week is). There are no supplementary monthly rewards anymore - purely week to week offerings. What Do You Win in FUT Champions Rewards? You can earn any player who is currently featuring in the 'Team of the Week', which is released each and every Wednesday. The rewards come in the form of special red cards - the better you are at the game, the more you can choose and keep. Simples. These cards are then yours FOREVER. Can You Trade Your FUT Champions Rewards? You can't trade FUT Champions rewards for cash value - but you can trade the players in if you complete one of EA's Squad Builder Challenges (SBC). That's a whole different kettle of fish. Or, you can choose to use them and build some of the most insane squads; that's probably the most preferred option. How Do You Qualify for FUT Champions? In previous editions of the game, you had to enter a 'Daily Knockout Tournament' to enter FUT Champions - but not this year. Instead, the FUT Division Rivals ladder system takes centre stage. Earn enough points in that particular mode and you qualify for FUT Champions - simple as that (as the late, great Caroline Aherne would have said). You also don't have to play each and every weekend - so if you've got plans or you simply can't be bothered to play on any given weekend, you can save your entry for another time - what lovely guys they are at EA!